The condos for sale in Brielle are in three main condo / townhouse complexes. There are also a few smaller complexes of condos in Brielle. Brielle is a small town adjacent to the Manasquan River. Numerous marinas are available on the Manasquan River, as a result, people living in homes and condos in Brielle have many options for docking their boats. Also, Brielle is home to the 140 acre, 18 hole Manasquan River Golf Club. In 2010, the population was 4774 people. 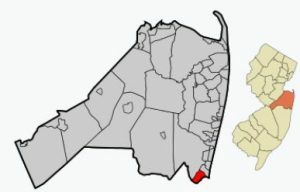 In addition, the 2010 Census reports that there were 1805 households in Brielle. These households had a median family income of $98,419. The Brielle School District has one school, Brielle Elementary School. This school serves students in grades Kindergarten through eight. There are about 550 students enrolled in this school. When a student enters high school they will attend nearby Manasquan High School. Although there is not a station in Brielle, New Jersey Transit’s North Jersey Coast Line runs rail service through Brielle. However, it does not stop in Brielle, In fact, the nearest station is in Manasquan. Also, bus service from Brielle to Philadelphia is provided by New Jersey Transit.